This second edition of Zhong Wen / Chinese textbooks, designed for overseas students who plan to attend an after-school course, introduces 2,500 Chinese characters, covers a wide range of topics and provides an overview of Chinese culture including Chinese geography, history and philosophy. The 1-9 volumes introduce the basic knowledge of Chinese, including the characters, Pinyin system, sentence patterns and short composition. The 10-12 volumes talk about the Chinese geography, history, philosophy and so on. With simple words of the contents, students will learn Chinese language and culture easily. 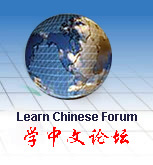 This download is for Zhong Wen / Chinese textbook vol.10 only.